Is now the time for an Audi A9 Coupe? Audi has a lot of high-end performance cars and they almost all have one thing in common — four doors. Of all Audi’s high-end performance cars, two have less than four doors; the Audi RS5 and the Audi R8. However, it might need to add another one, a high-end, flagship Grand Touring car for instance, if it wants to keep up with some of its rivals. Of the premium German brands, each of them have a high-end, flagship performance GT. Porsche has its 911, Mercedes-Benz has its AMG GT and BMW will soon be releasing its brand-spanking new 8 Series. We all know how good the 911 and AMG GT are but some new pre-production drives of the BMW 8 Series are showing some serious promise for an excellent high-performance GT. And that got us thinking about Audi’s lack of high-performance GT, something it should have. Something like an Audi A9. Admittedly, the Audi RS5 Coupe is a bit of a GT car, being that it’s more comfortable than maybe people had expected. But it’s too firm and angry to be a proper flagship performance GT. There have been rumors that Audi would be looking to debut an A9 coupe for a few years but there have been no actual indications such a thing would happen. Which is a bit disappointing because Audi certainly has the capability. An Audi A9 coupe based on the brand’s new MLB platform, with looks similar to the Audi Prologue Concept and a version of the brand’s new 4.0 liter twin-turbo V8 would be incredible. It could make around 600 hp and have Quattro all-wheel drive with a sport differential. That, combined with the Prologue’s good looks, would be a great combo. 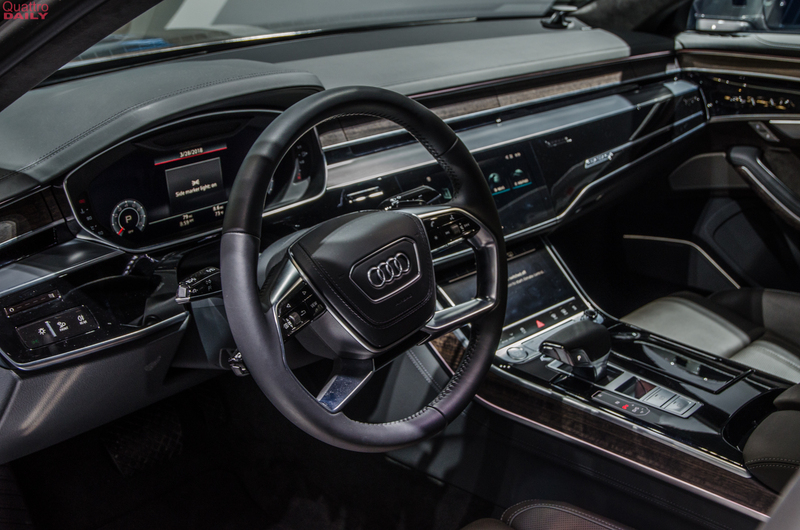 It could also have an upgraded version of the Audi A8’s interior, with the brand’s newest Virtual Cockpit and touchscreen-based MMI system. It could be Audi’s flagship car, the car that brings people into showrooms. Even more so after 2020, when the Audi R8’s gone, because once Iron Man’s mid-engine supercar is gone, Audi will need a new flagship performance car. What’s even better is that it could make an Audi RS9, or some equivalent, which would help bring prestige to the Audi Sport brand, something it needs with the BMW M8 and Mercedes-AMG GT on the market. This is all just wishful thinking, as we have no reason to believe Audi will actually develop such a thing. However, we’re Audi enthusiasts and we can dream can’t we? If the folks in Ingolstadt are listening, an Audi A9 Coupe would be awesome.